After two decades of classic rock hits being performed live at the Vern Riffe Center for the arts, the Rock n’ Roll House Party concert series will put down the microphone this year. 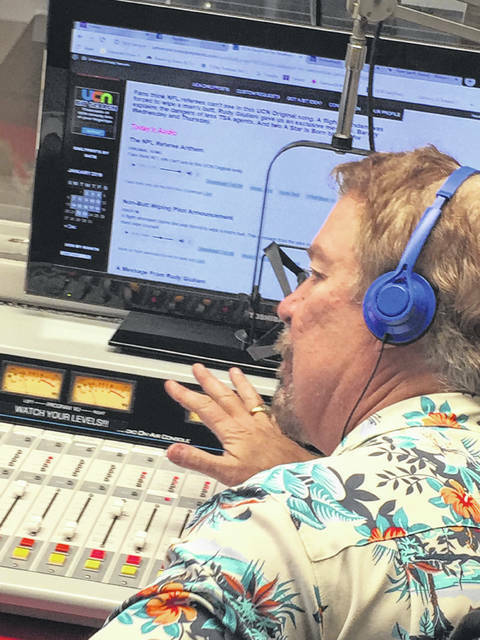 Although the party will be over soon, Steve Hayes, show organizer and radio personality of Hometown Radio (WNXT), says the final House Party, Sun Spot Tanning Salon’s Rock n’ Roll House Party 20 “The Final Riff” will send the concert series out with a bang. The lineup for the event was announced early Wednesday morning on air with Stan Workman, Director of Vern Riffe Center for the Arts and boasts acts like Rare Earth, and WAR. “I think it’s going to be an exciting concert and I hope everybody buys their tickets right away,” said Workman. Tickets went on sale at the McKinley Box Office yesterday (Wednesday) at 10 a.m. and range in price from $35-$75. The event is not for profit event, and generous sponsors simply allow ticket prices to be as low as possible. For the first time in House Party history, a special “Rock n’ Roll Hall of Fame” worthy guest will also be performing, but will remain a secret until the concert. “We’ve never had a mystery guest and I think people will be stunned and surprised when this gentleman comes out, he had 5 top ten songs himself on the charts. We want to add a lot of fun and mystery, mystic and more importantly wanted people to get their money’s worth, and because it’s the last one we’re going to have, the after party at the Holiday Inn, we’ve got DJ Franky Frank back again this year,” said Hayes. Hayes mentioned that commemorative Shirts, posters and other items would be available for sale. For those sad to see the Rock n’ Roll House Party series come to an end, this is not the end of live musical events. Hayes said that ending the Rock n’ Roll series will allow for outside genres to come in that didn’t necessarily fit under the “Rock n’ Roll” umbrella. “It gives us the flexibility to do other things outside the box of Rock n’ Roll,” said Hayes. Sun Spot Tanning Salon’s Rock n’ Roll House Party 20, “The Final Riff” will take place April 8th. Tickets can be purchased at McKinley Box Office or online at vrcfa.com.